This week, the American Booksellers Association and Kobo, a leader in eReading with more than 10 million registered users worldwide, announced a new partnership to bring Kobo’s eReading platform to independent bookstores across the United States. Following this week's announcement of the e-book agreement between the American Booksellers Association and Kobo, ABA has announced that the upcoming IndieCommerce Institute (ICI) -- set for Thursday, September 13 -- will feature a special plenary focusing on the new ABA/Kobo e-book program. On Thursday, September 6, Kobo announced a new lineup of e-readers. The news comes a week after ABA and Kobo announced an agreement for a new e-book solution for ABA member bookstores. Today, ABA announced that Ingram Content Group will be the exclusive distributor of Kobo eReaders as part of the ABA/Kobo eBook solution. 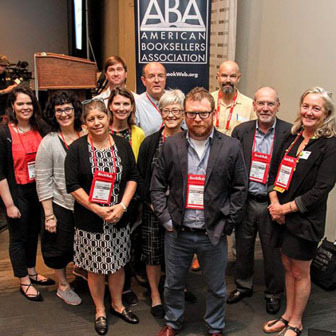 U.S. indie booksellers at ABA’ s Day of Education at BEA will have the opportunity to hear how colleagues in other countries are working to successfully innovate and fashion profitable solutions to the challenges facing bricks-and-mortar booksellers both here and abroad.